For the directions/method, please see the original post: Vegan Lemon Chickpea Orzo Soup. Thank you, Alex, for the permission to share your awesome recipe here on my blog. 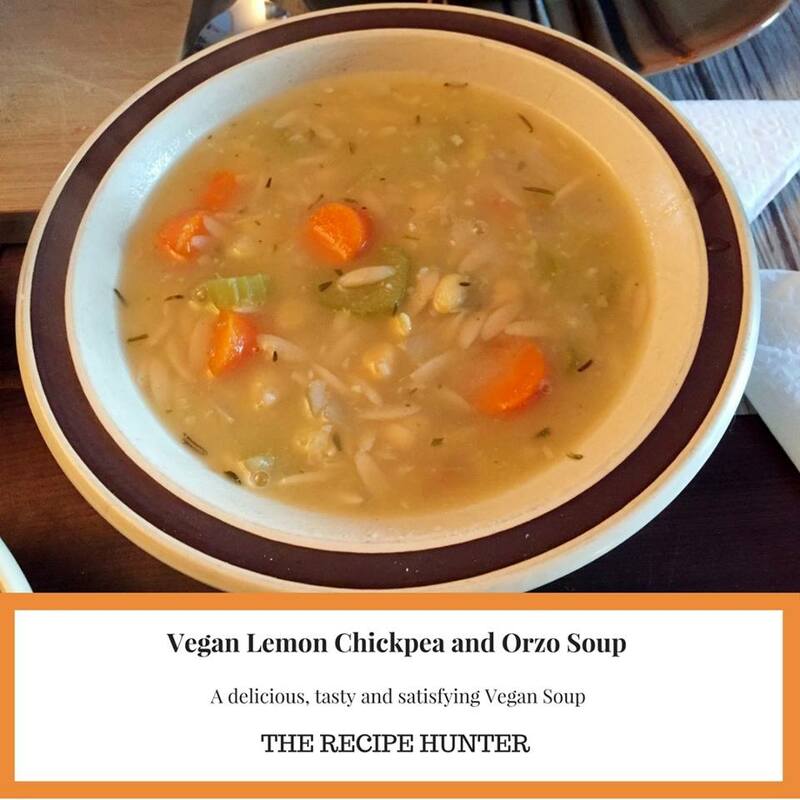 My daughter-in-law hunted the internet for a vegan soup, and then prepared this lovely soup for our family get together this past weekend. Ooh nice. I’m going to Pin this for later. Making this weekend – terrific recipe!